Jersey's best young sports people could compete at the 2014 French-speaking island games after Sardinia announced it plans to host the Jeux des Iles. The games was due to be hosted by the Italian island of Elba, but for the second time they have pulled out of hosting the event. The games are set to run between 26 May and 1 June. "I feel quite confident they will go ahead," Jersey's team manager Hugh Raymond told BBC Radio Jersey. But he says with all the uncertainty surrounding whether Elba would compete, sports and competitors may have made other plans when the games are due to be held. "We're not definitely saying that we're going, I think we have to look at the logistics of it and also how many islands take part," Raymond said. "It's no good going to Sardinia of there's only half-a-dozen islands taking part." 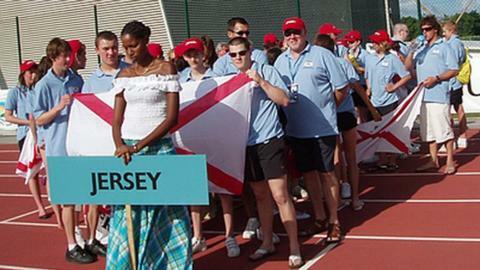 Jersey have sent representatives from seven sports - swimming, athletics, tennis, table tennis, judo, gymnastics and sailing, to the 2013 games in Corsica. But with the uncertainty over whether the 2014 event would be held, swimming has already found events elsewhere. "If we had the five sports that are left we could be up to 35 or 40 provided everybody is ready to go," Raymond said. "But they have to be available because they may have decided to go to events elsewhere because there was no Jeux des Iles." The event has seen a number of young islanders use it as a stepping-stone to get experience of higher-level competition. The UK's number one ranked shot put thrower, Zane Duquemin, won gold won three gold medals in the 2008 Jeux des Isles in Guadeloupe.